Includes 30 day free trial of online postage service. 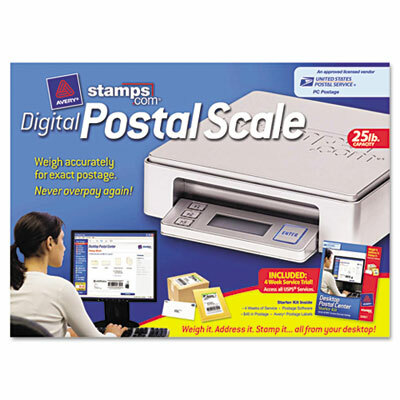 Weigh packages and letters accurately with this postal scale. Save money by calculating exact postage. Scale connects directly to PC, so you can print postage from your computer. Includes 30 day free trial of online postage service (additional monthly fee after trial period expires).